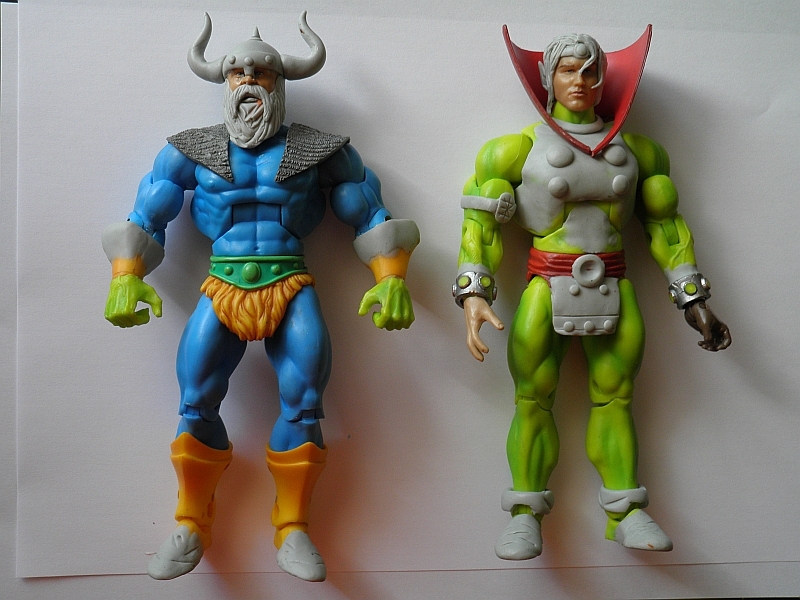 Here is Melf (Peralay was his original name, it was changed for the toy) in MOTUC Style. 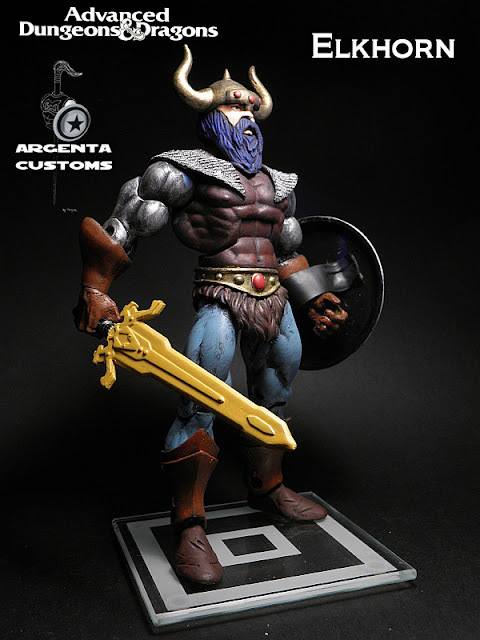 Made over a Demo Man MOTUC (the only MOTUC I know without high boots). Although he was a skinny character, there isn't a skinny MOTUC yet, so let's say he has done a bit of weight-lifting. 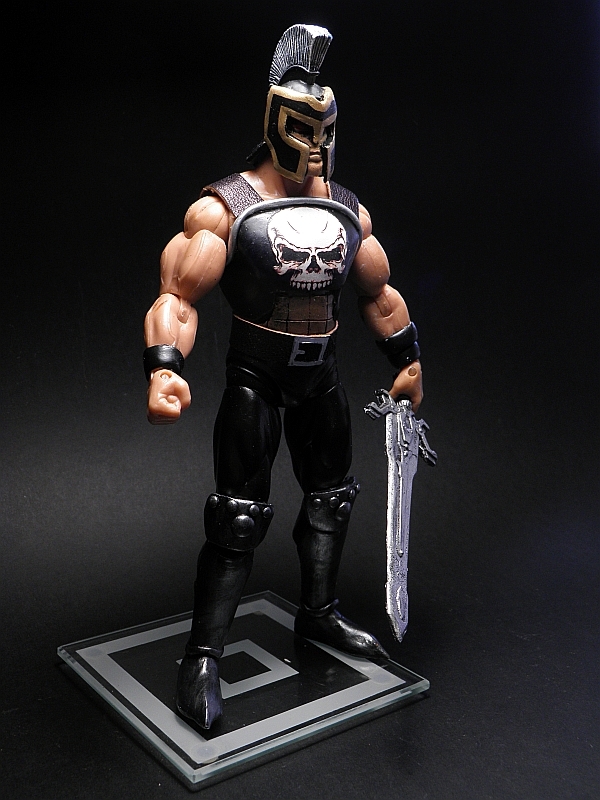 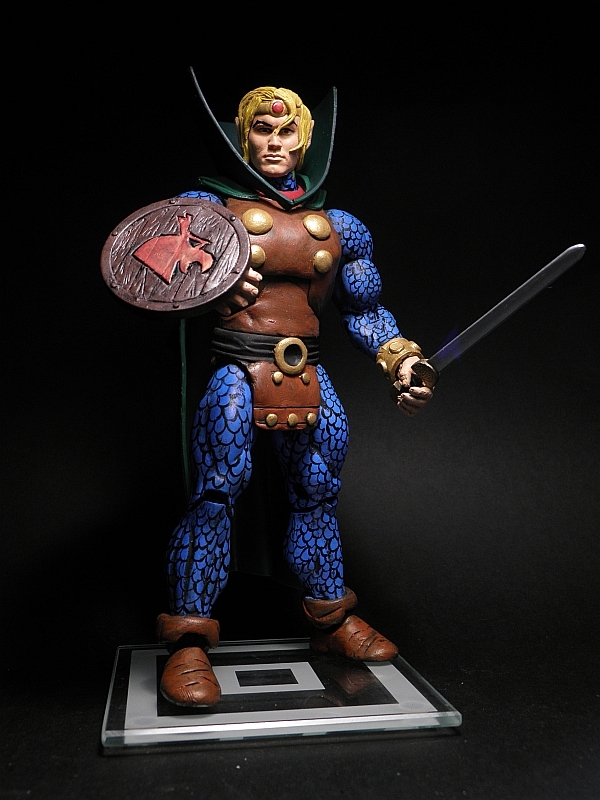 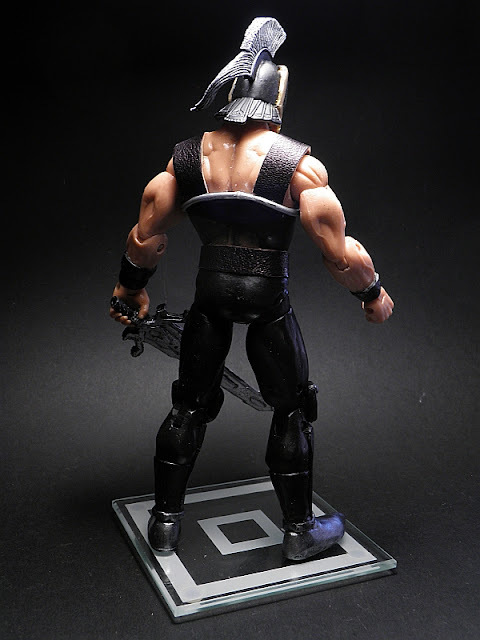 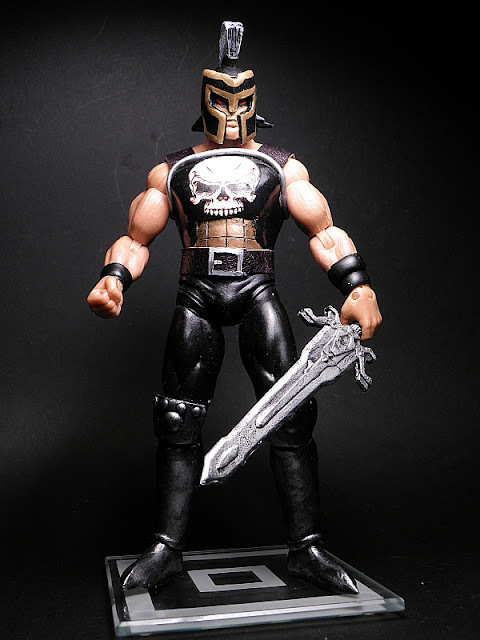 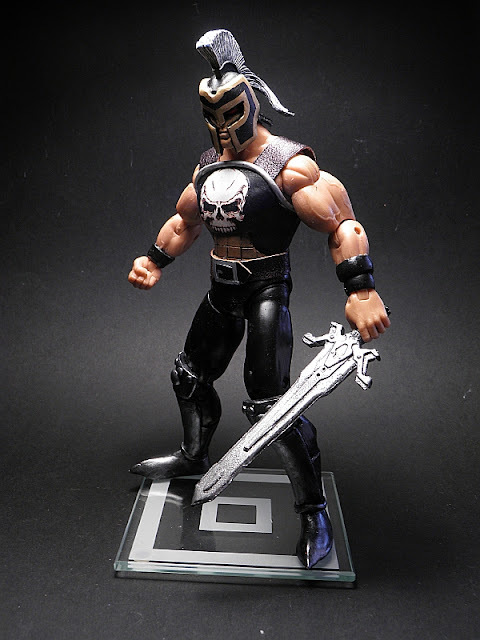 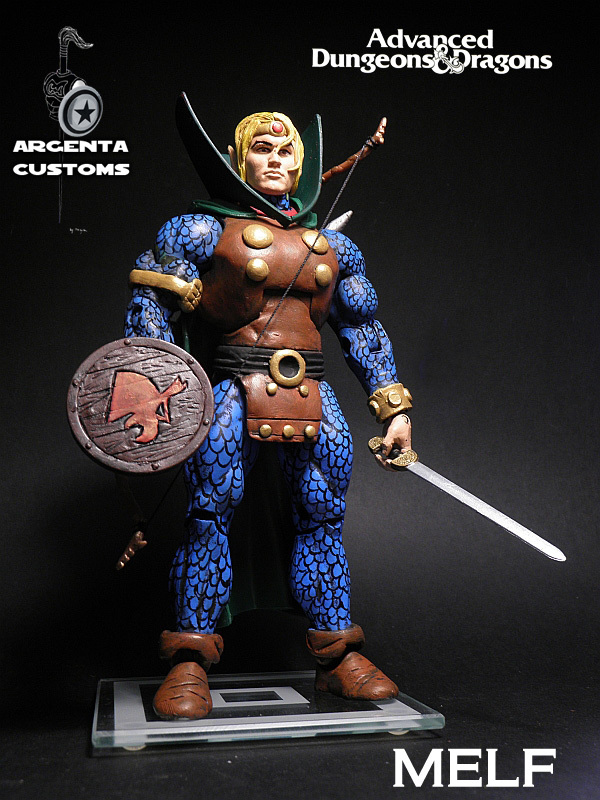 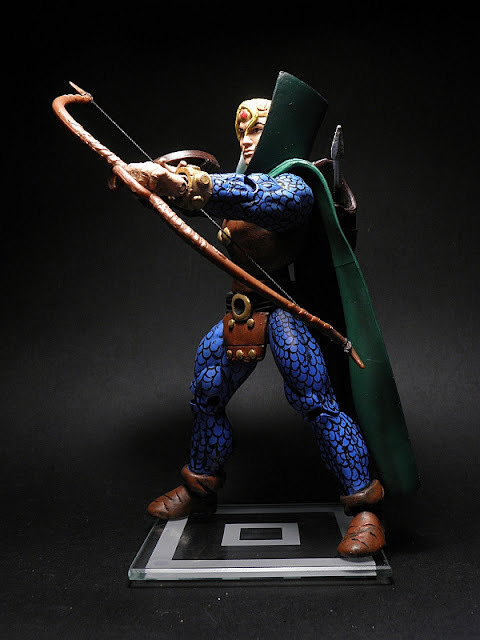 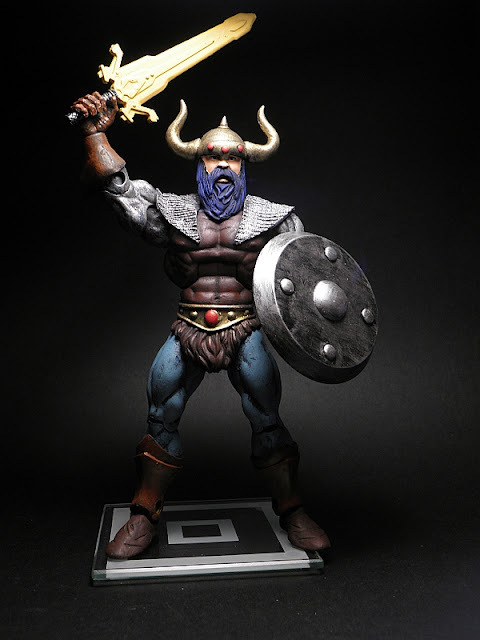 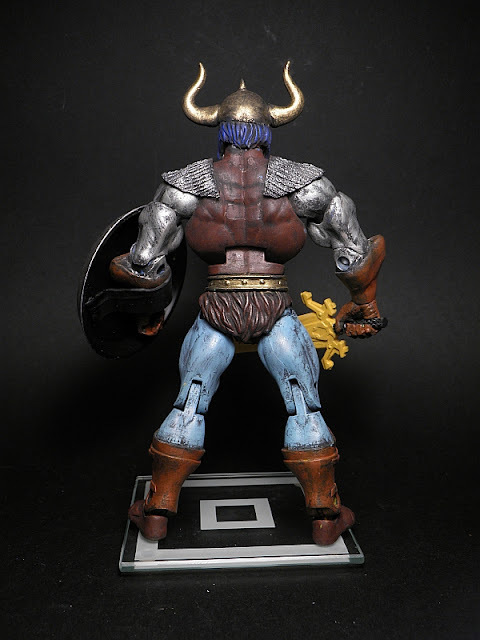 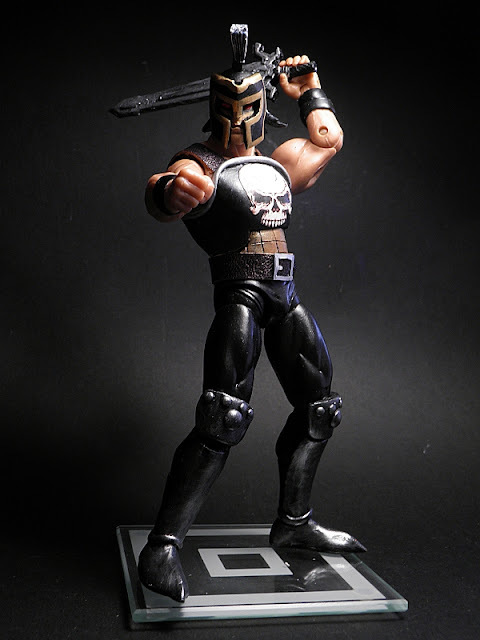 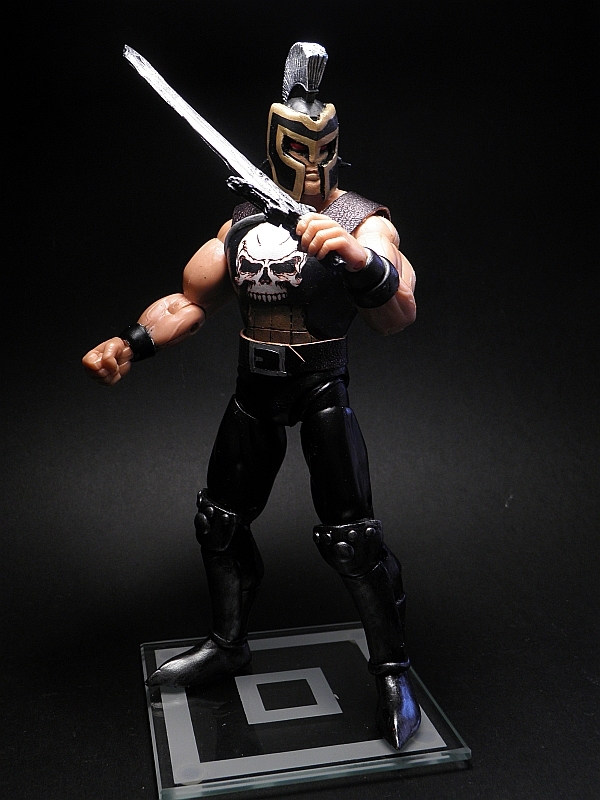 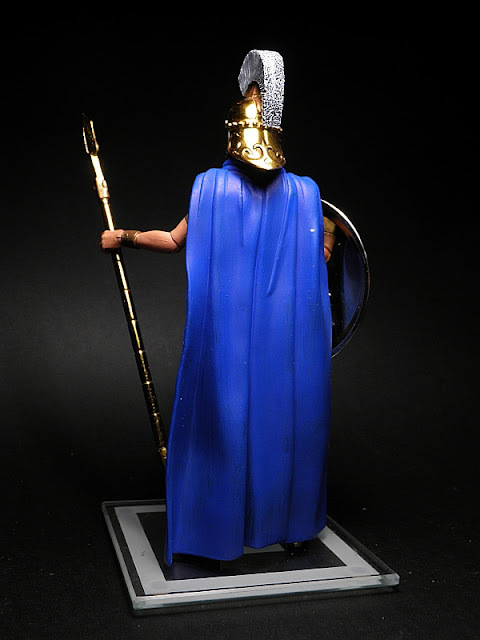 Here is Elkhorn, another of my line of customs based on the vintage line of Dungeons and Dragons in MOTUC Style. 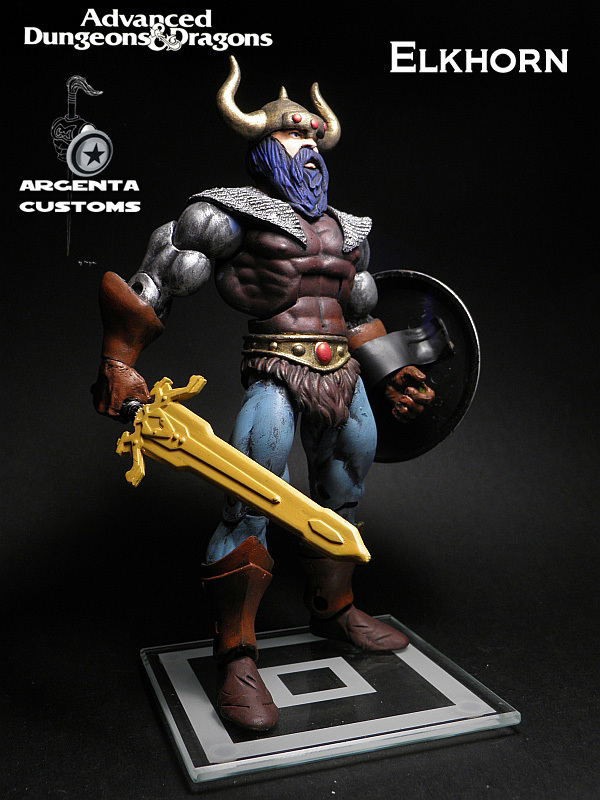 This time, although he is a dwarf, the friend for I made it wanted specifically a MOTUC, so he has grown up to be a proud viking :) . The stories are quite good, and more especially, their designs are top notch. I couldn't resist transforming one of them into an action figure. 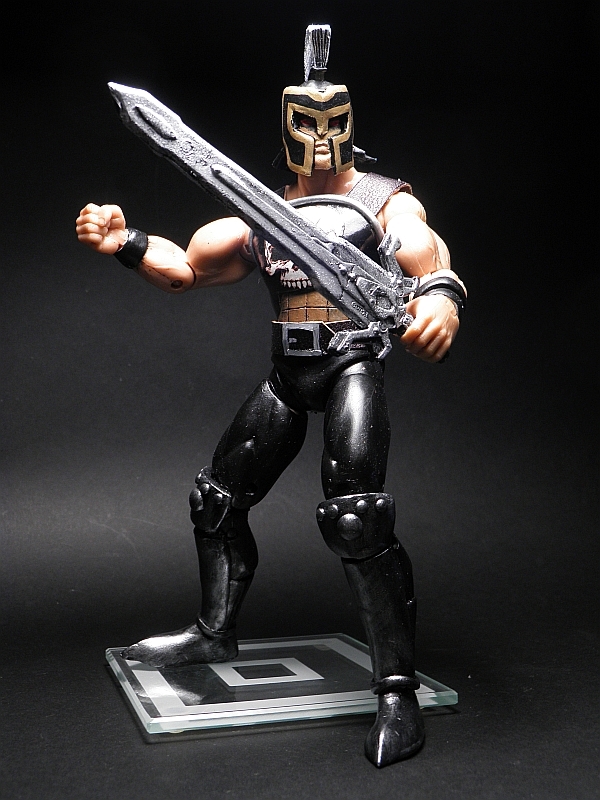 Saturn Knight is the sort of Nova of their universe. 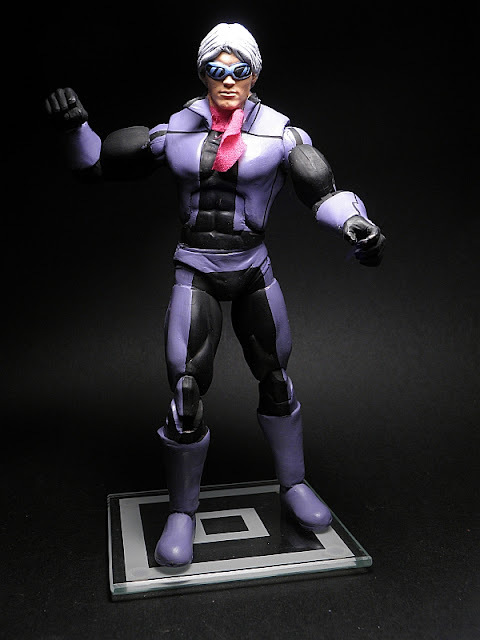 Made over a DCUC samurai with Hal Jordan head. 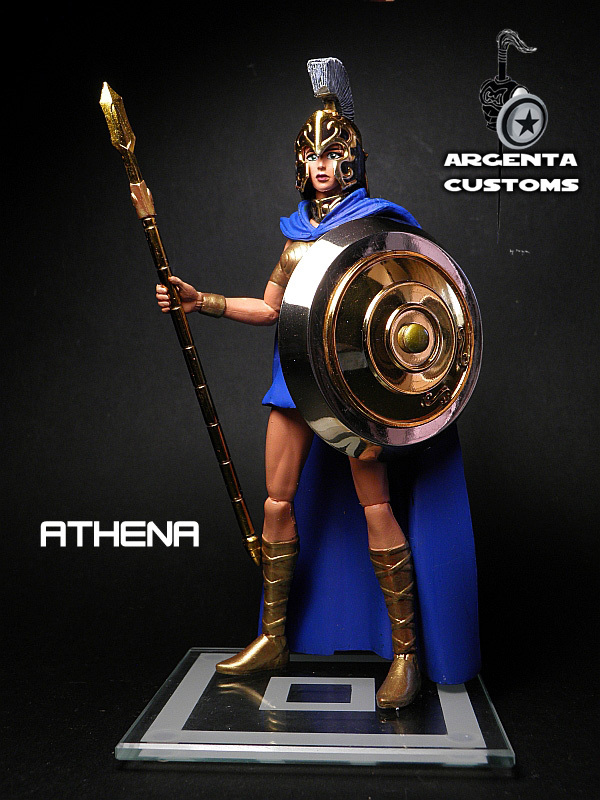 Here is Athena, greek goddes of Wisdom and Justice. 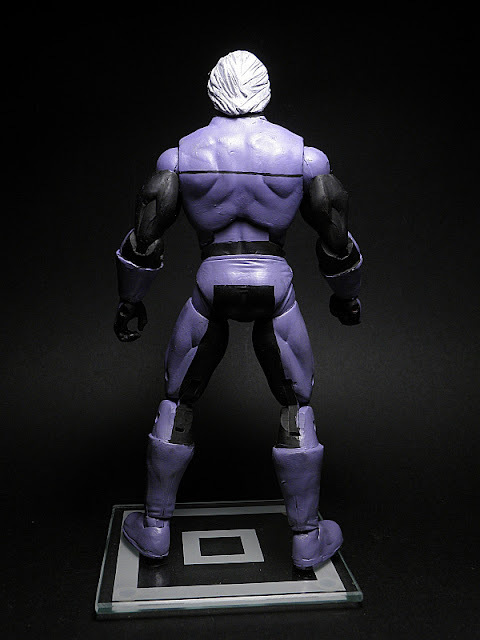 This custom was made in a moment of inspiration, as the body was perfect, and I had all the right parts. 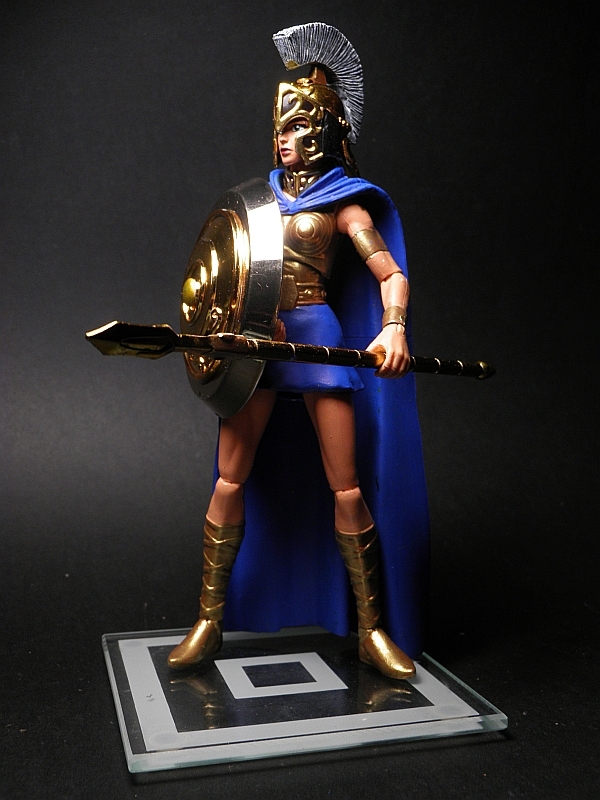 The only sculpted thing was the skirt and some very minor details. 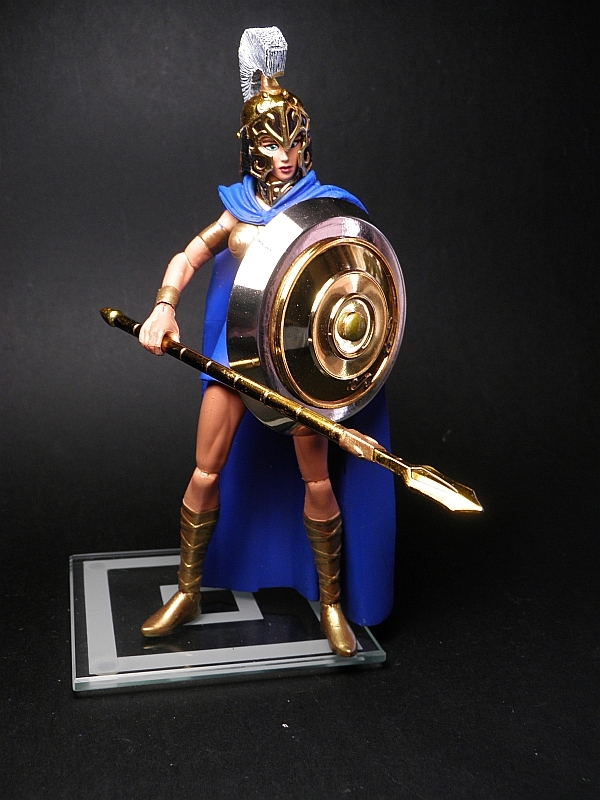 This is the Marvel version of Athena, although it could pass by a lot of Athena's of other universes. 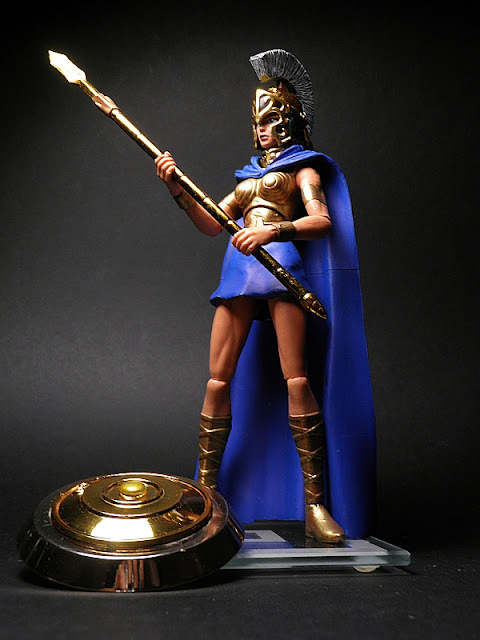 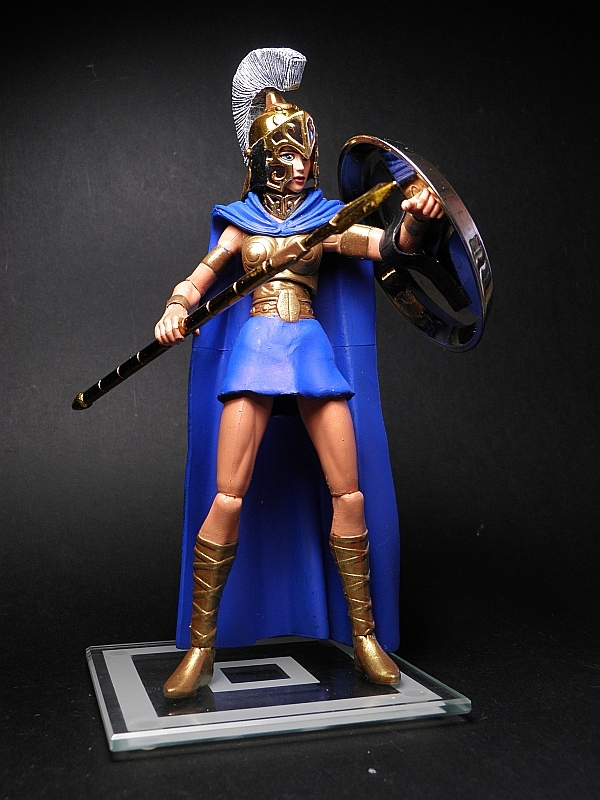 It also looks like a DC Themyscira amazon, or a Myth Cloth Mythologic era Athena. 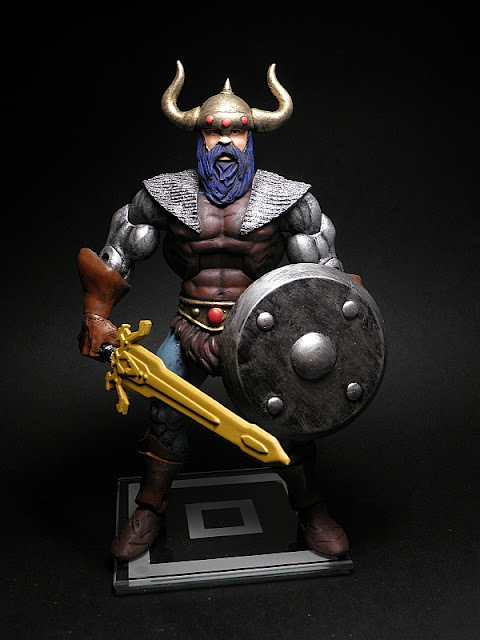 Here is Gilgamesh, in his modern look. 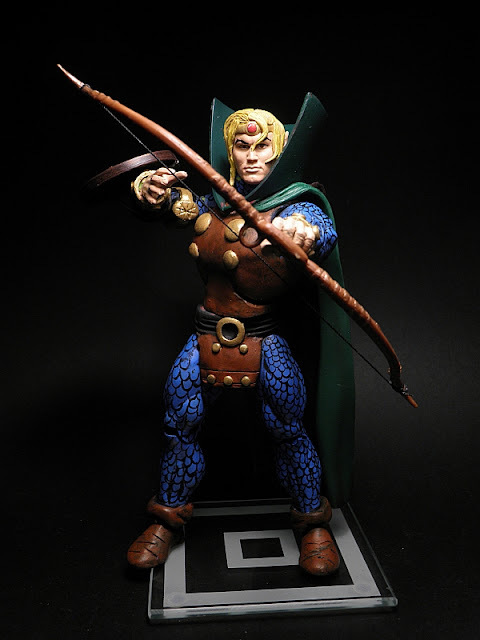 With him, few are the Eternals I haven't made. 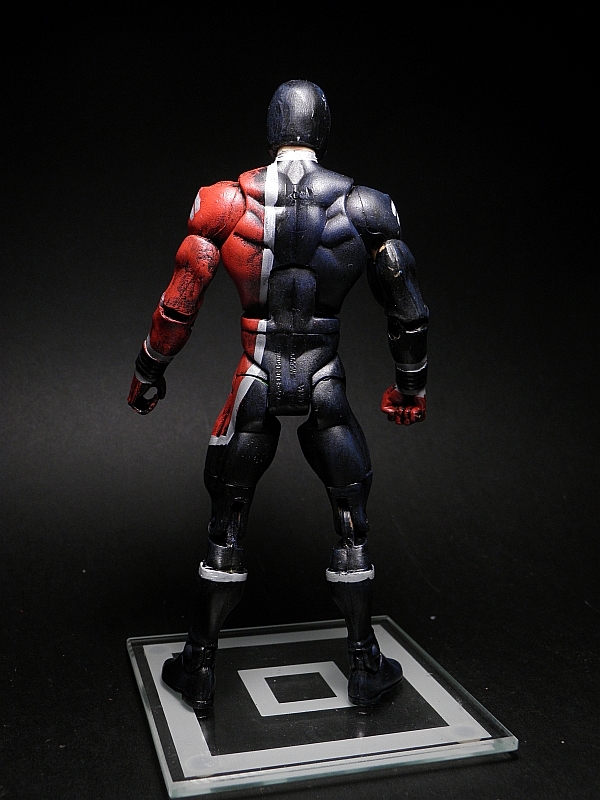 The hardest thing on this custom was... discerning how the model was supposed to be! 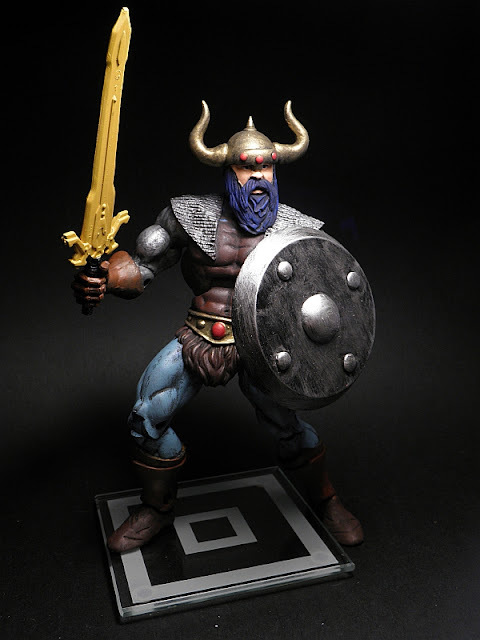 it only has few images on the net, all in "modern-drawing-very-impressive-but-not-really-showing-what-the-heck-it-is" style. I hope I've get it right. Base figure Deluxe Aggression, the rest is sculpting. 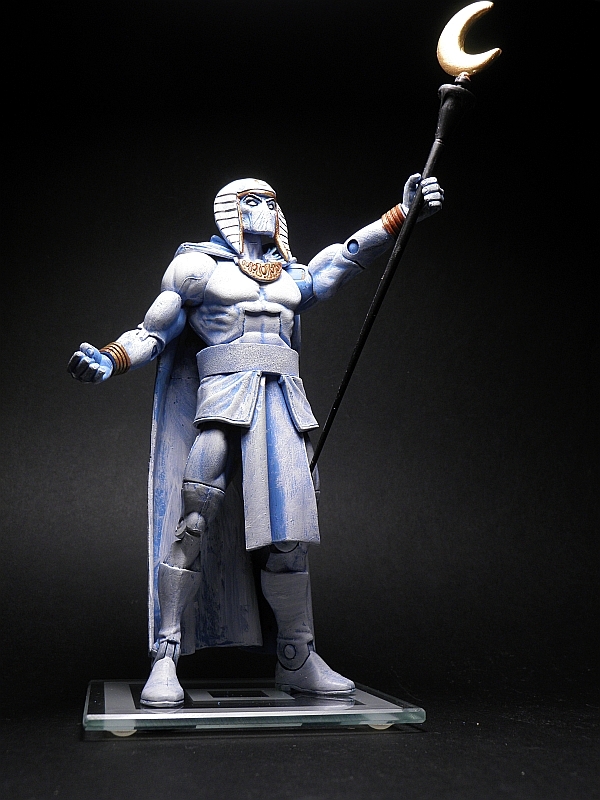 I always thought the idea of Khonshu was one of the best interpretations of mythology in the Marvel Universe. 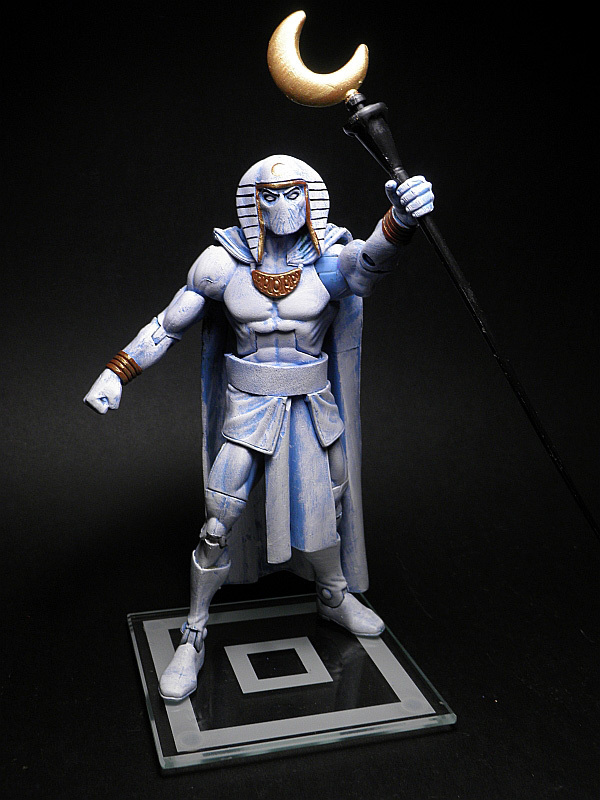 It is interesting and mysterious at the same time, Moon Knight without the egyptian background would much less. Although Khonshu doesn't appear much, he possessed Moon Knight during some time. 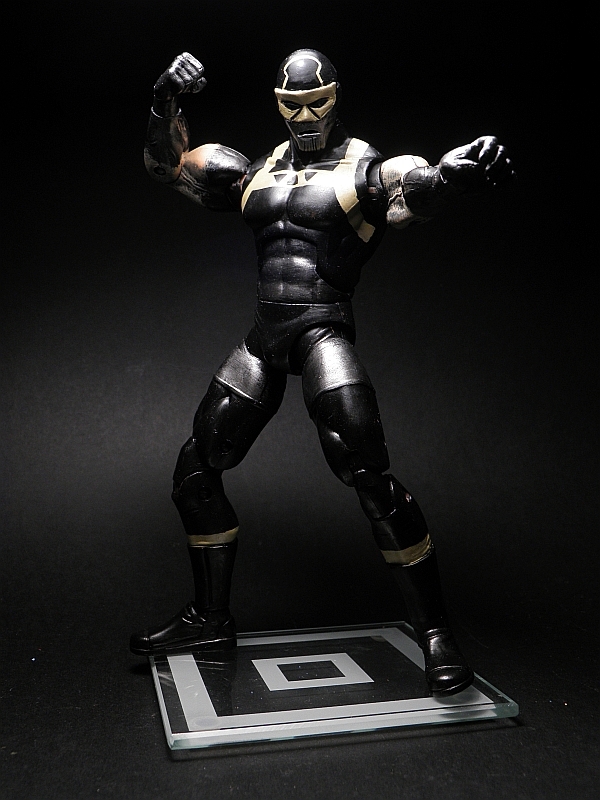 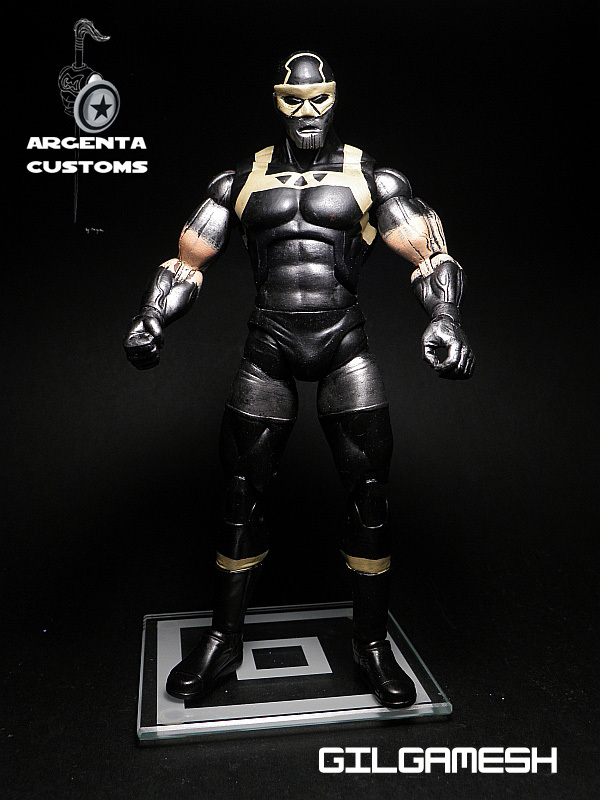 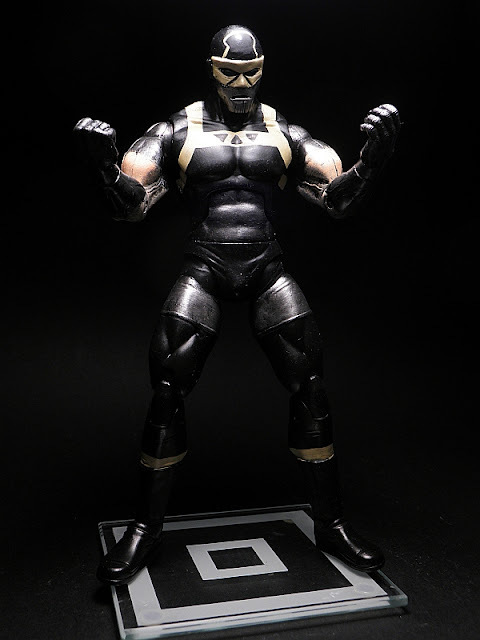 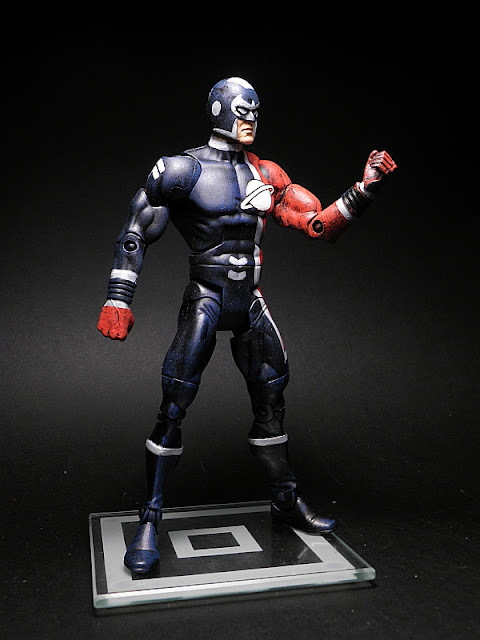 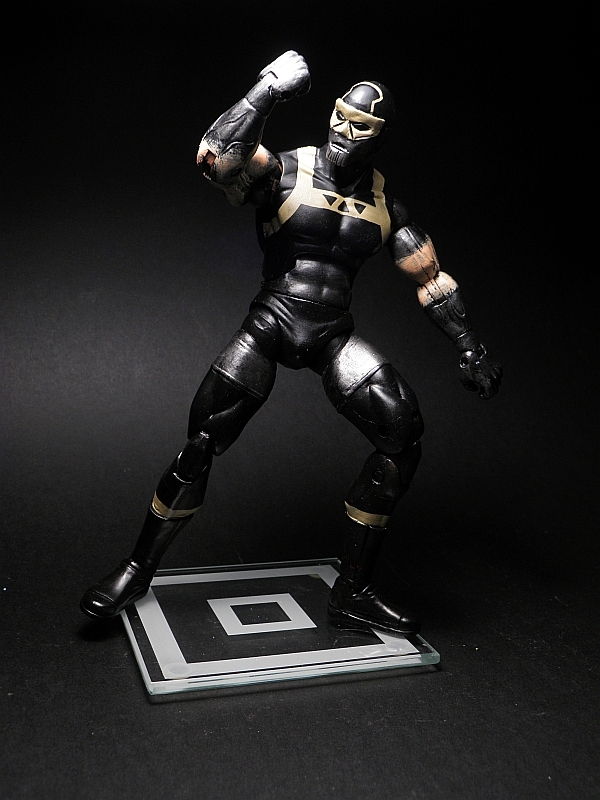 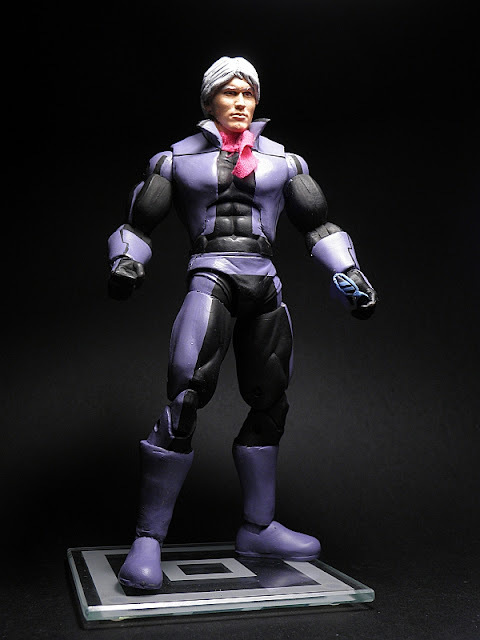 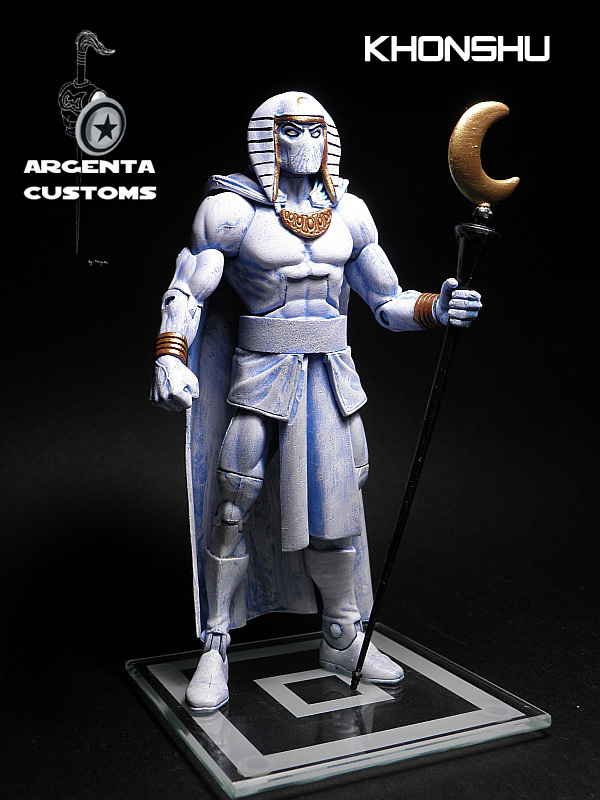 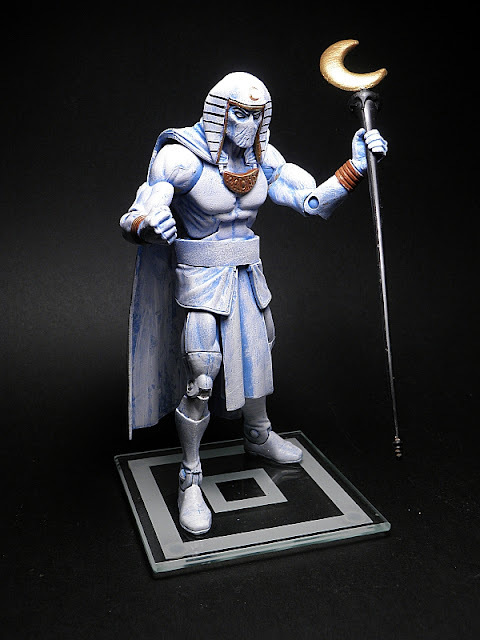 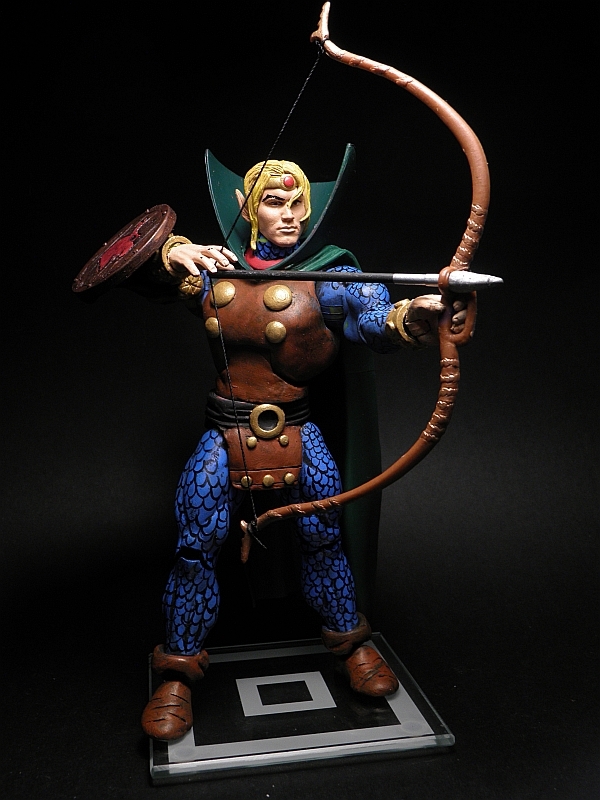 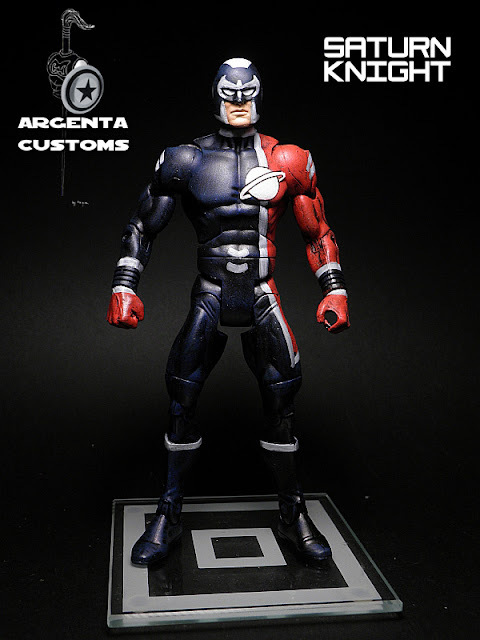 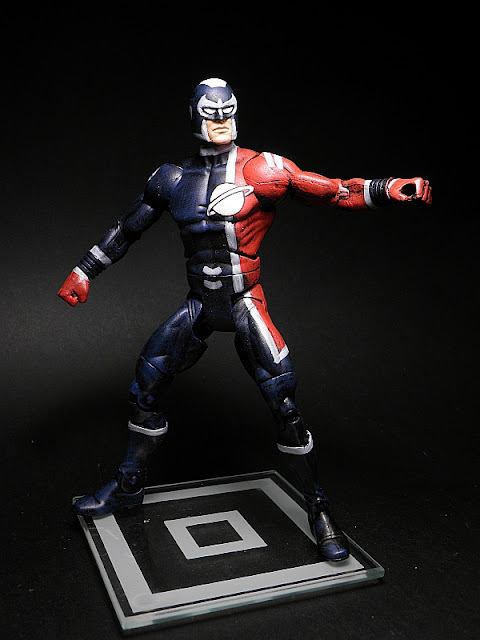 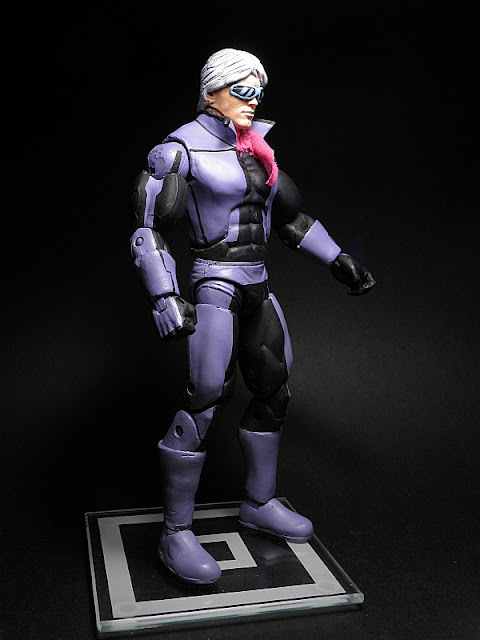 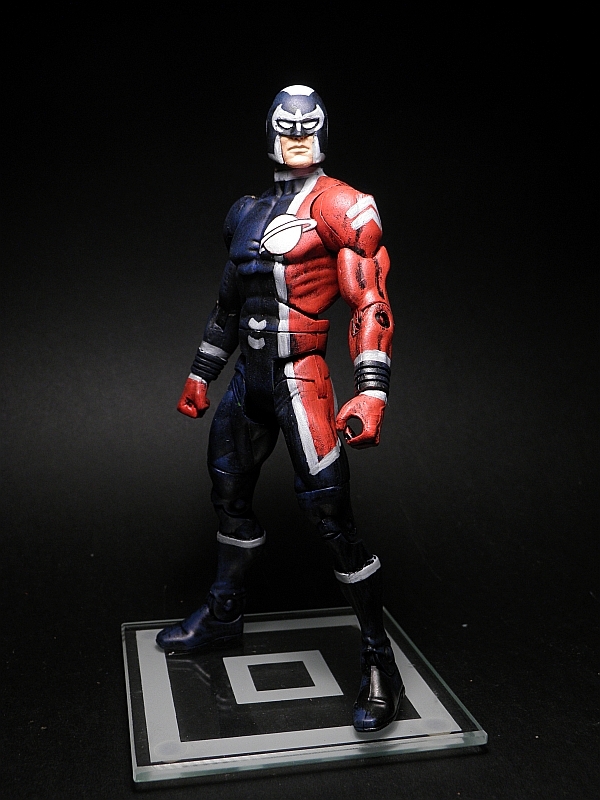 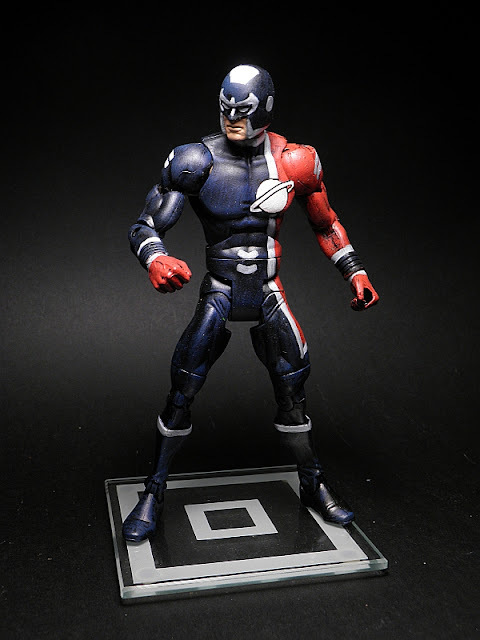 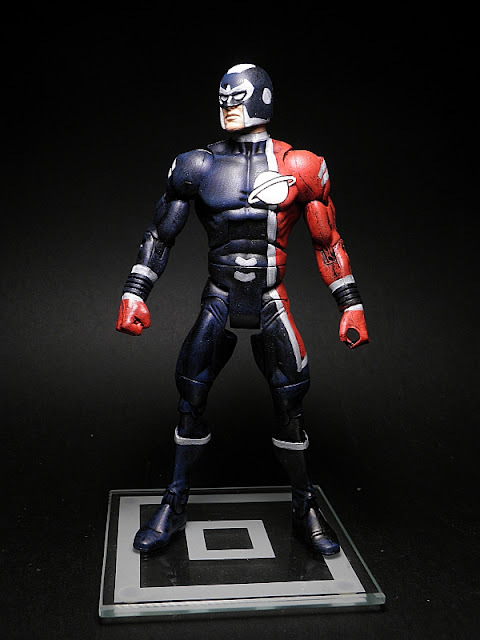 The look of this custom is a fusion between the Marvel Select statue, and the images from when he possessed Moon Knight. 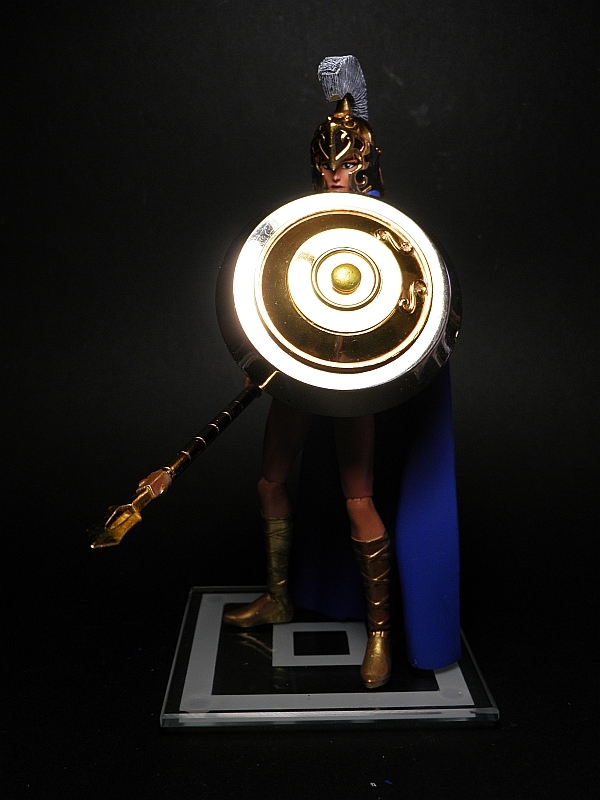 Base Figure Samurai, Dr Midnite cloak, Bullseye head, Pandora Myth Cloth necklace, Evil Lyn staff, Dr Midnite skirt. 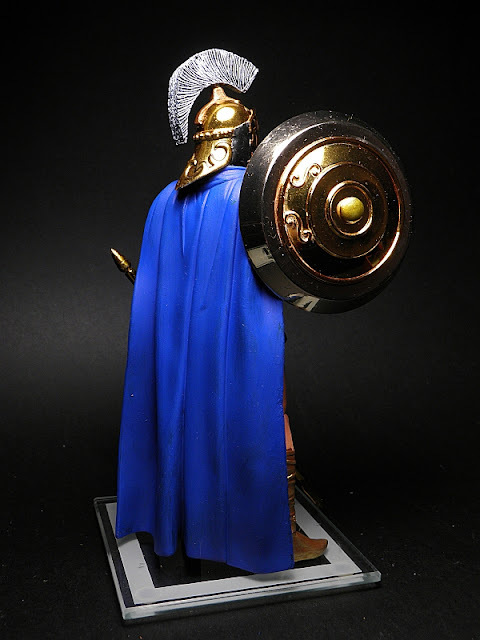 Here is my take on Ares, a character that even if he has his regular figure, I think it can be improved quite a lot. 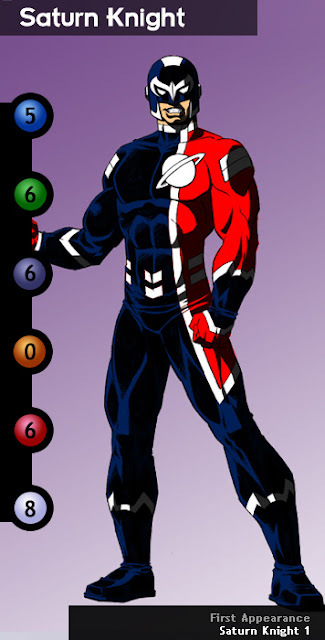 I looked through his various costumes and drawings and decided for a shadowed eyes version. 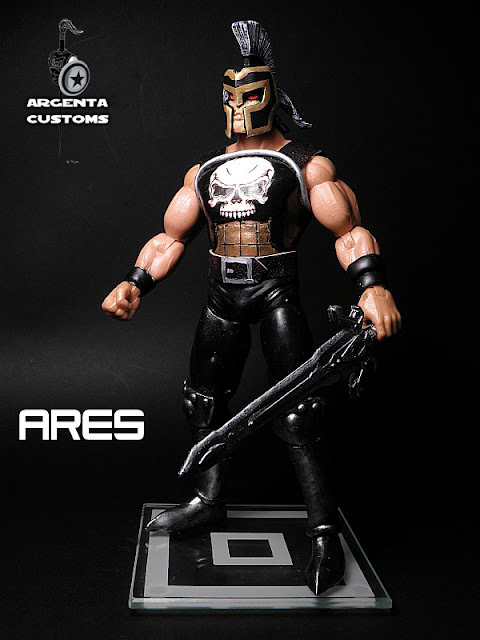 I used some parts of the DC Ares, such as the head and sword. The skull is a paper decal. This custom took a good deal of time and concentration. 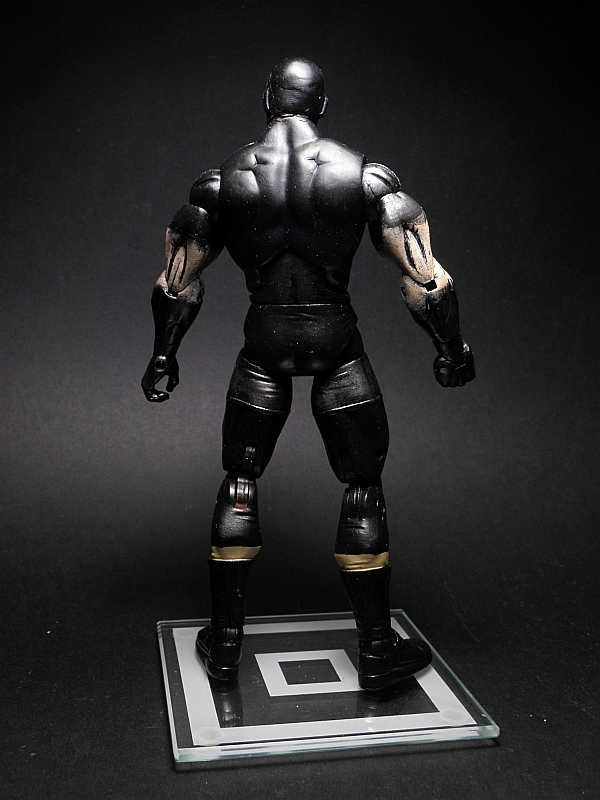 Thanks to using a wrestler, he can articulate the arms as if it was a regular factory made figure. 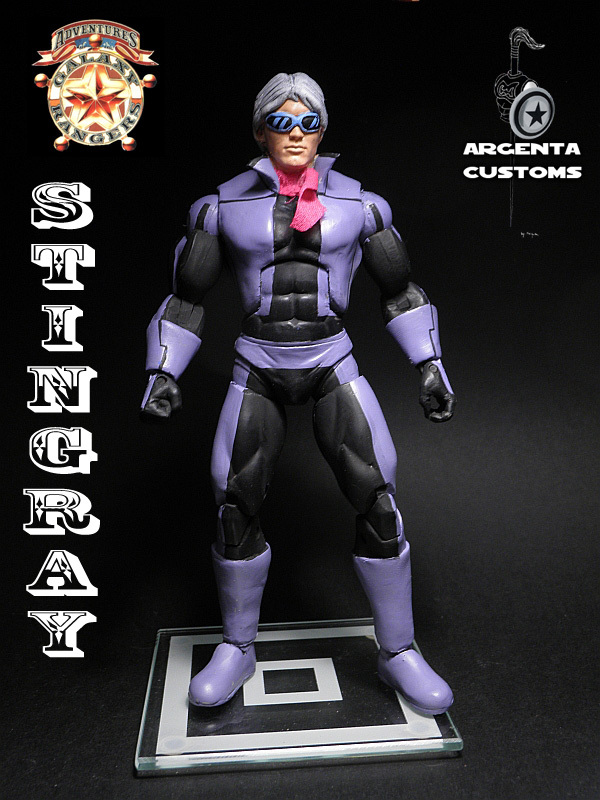 Here is Stingray, a character from the 80s series of Galaxy Rangers. 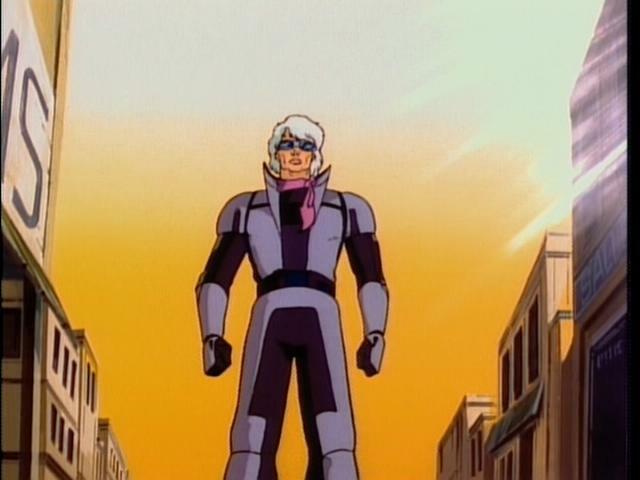 Frankly, I'am not sure if I saw it when I was a kid, or if I confuse it with Bravestarr. 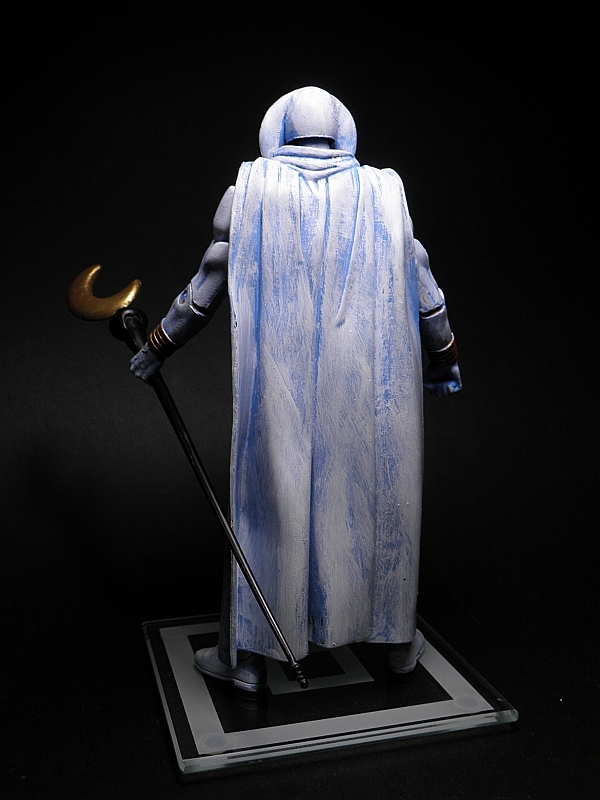 Sometime ago I saw the episode 1 and more or less know what is the series. 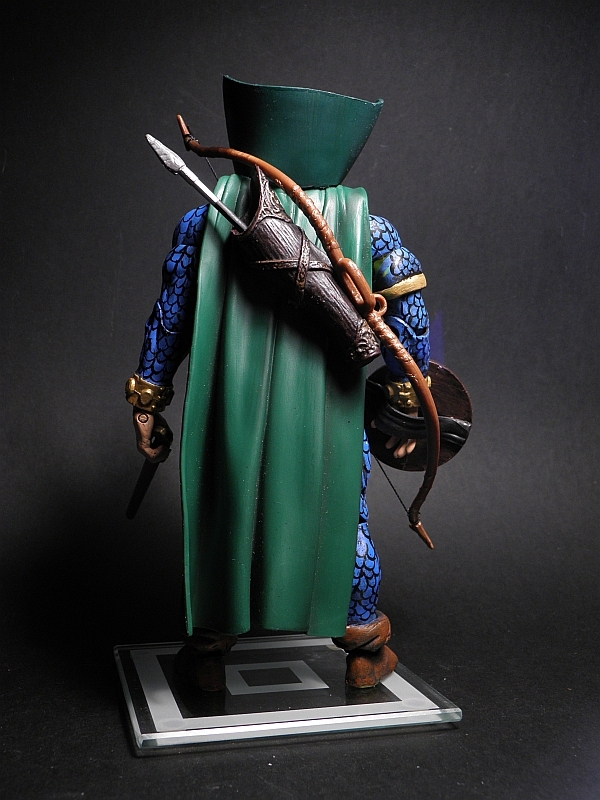 Recently I made this figure for a friend. He is Stingray, a figure that didn't have a toy, I suppose much like Shadow Weaver in MOTU. He has powers like Cyclops, when he removes his glasses he launches a optic ray. 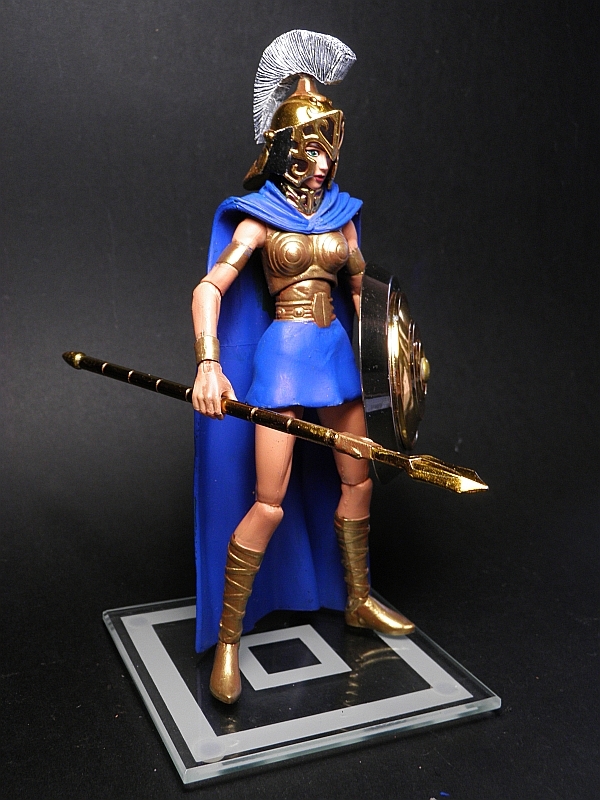 As I've seen, I think I'am the first to post a custom of this collection in Figurealm, I have introduced in Galaxy Quest which sounds similar.